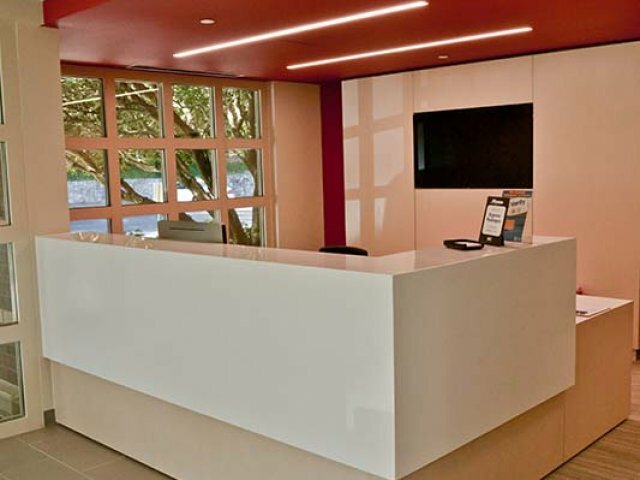 Here T&R fixtures we can provide you with a fully integrated and totally unique reception experience of your patrons. 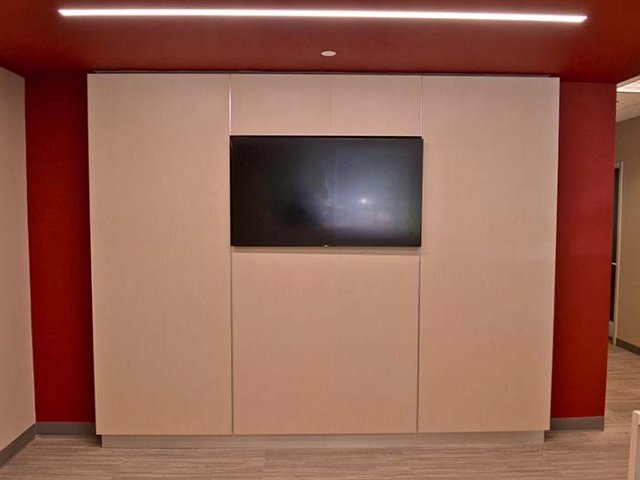 Utilizing the latest manufacturing techniques and materials are counter systems are second to none. 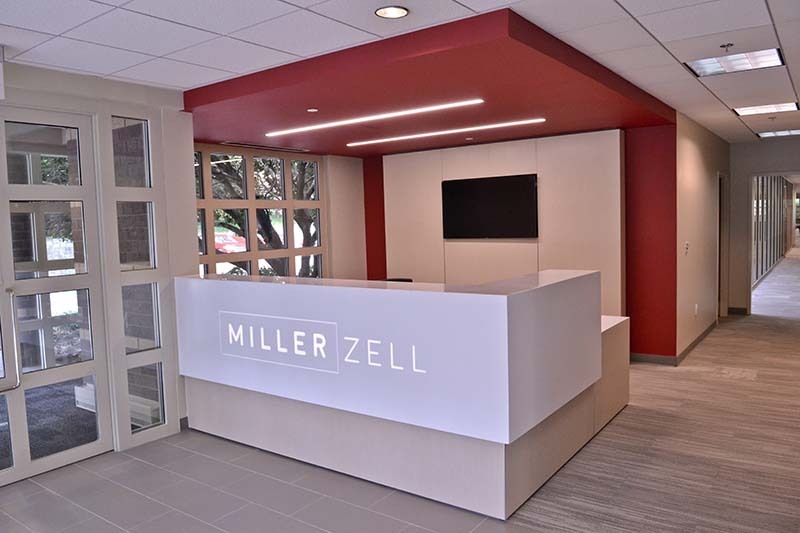 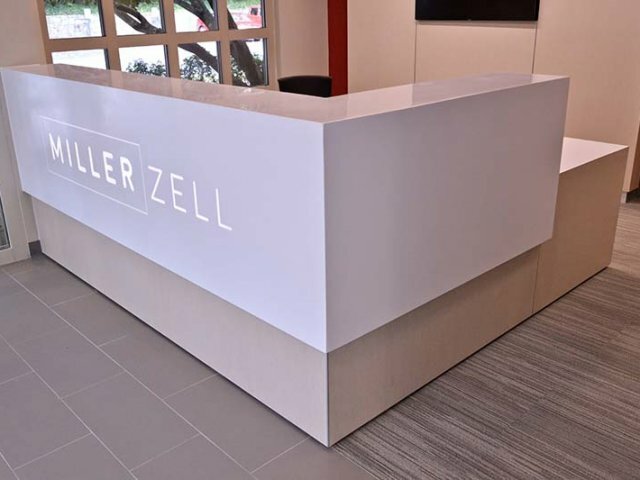 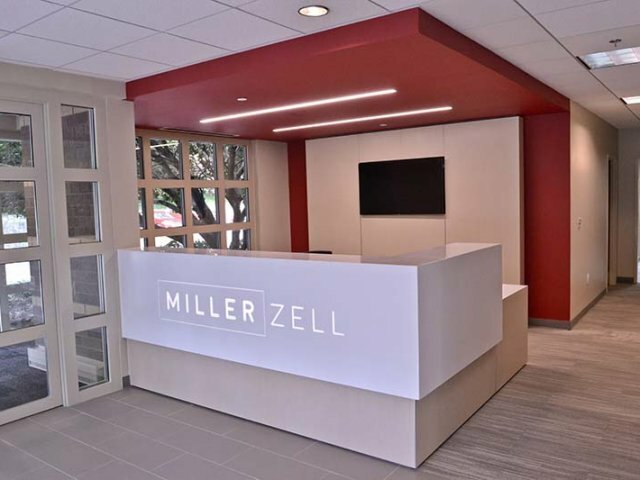 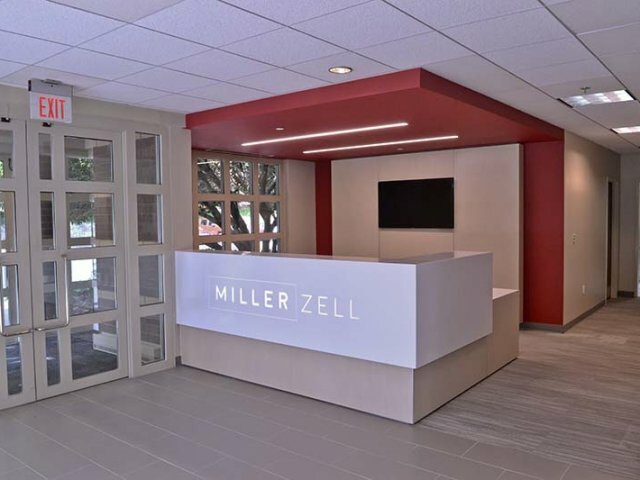 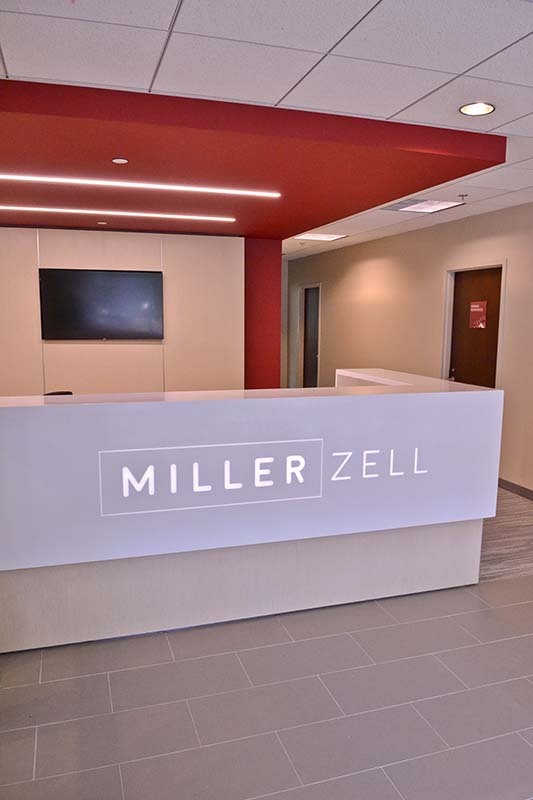 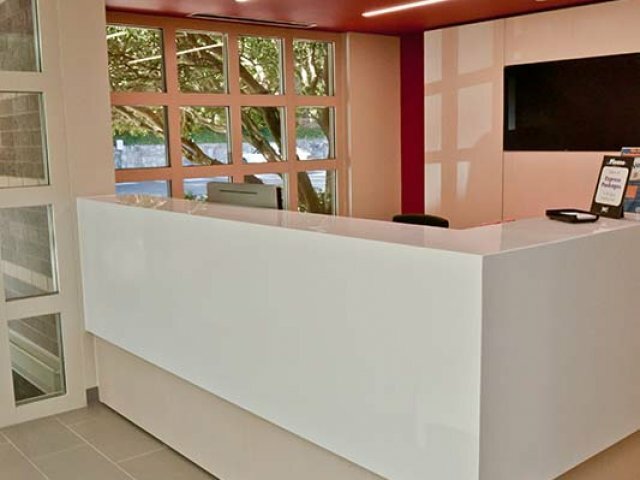 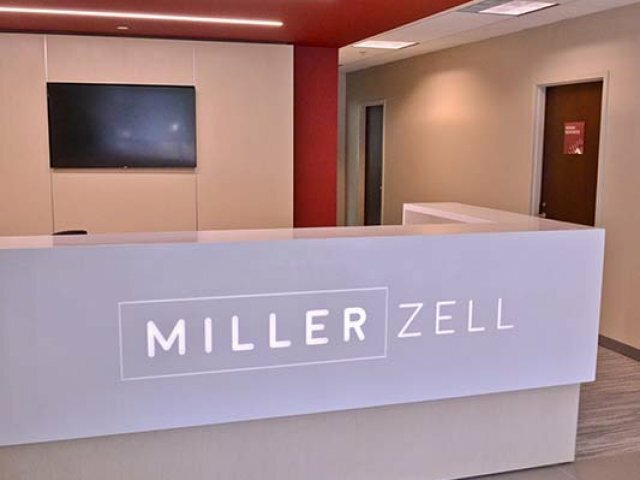 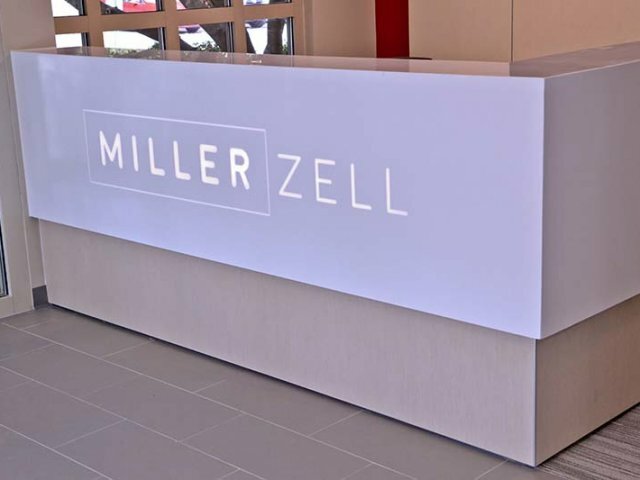 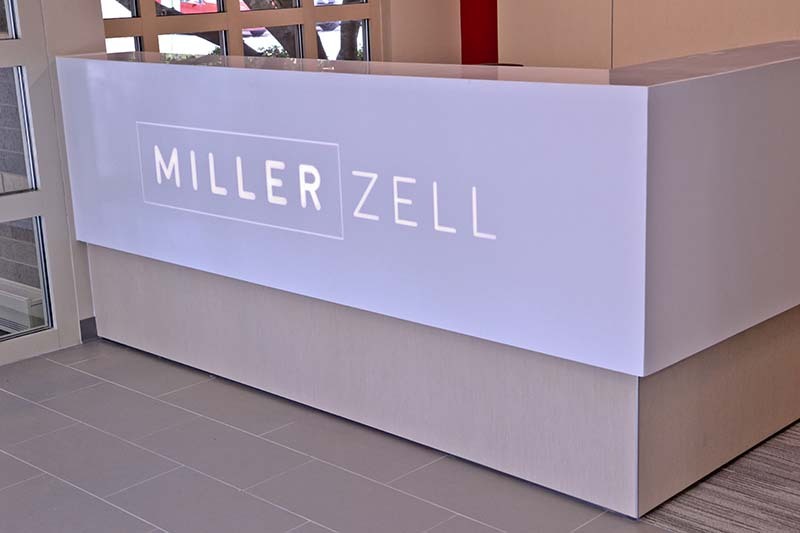 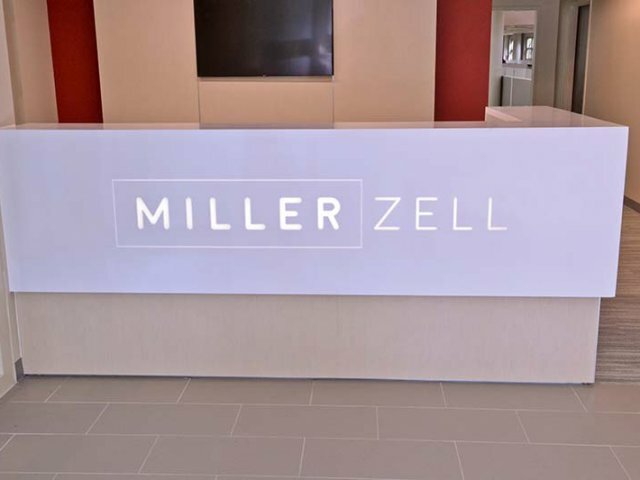 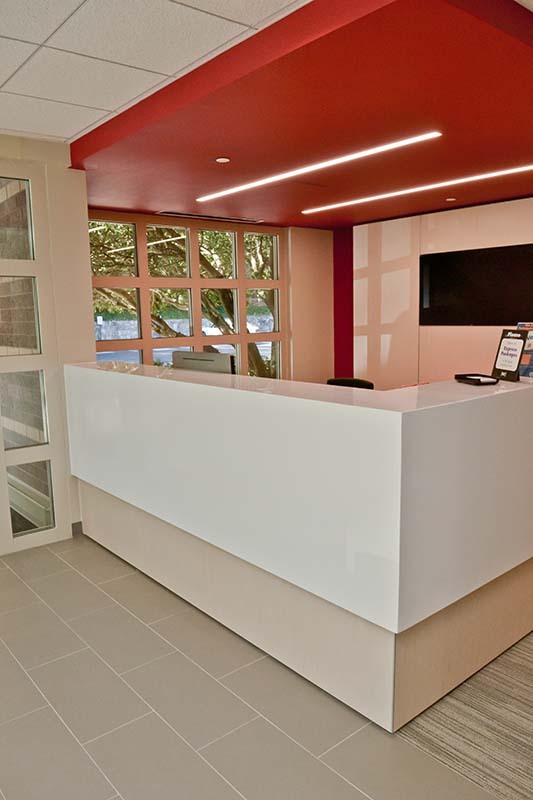 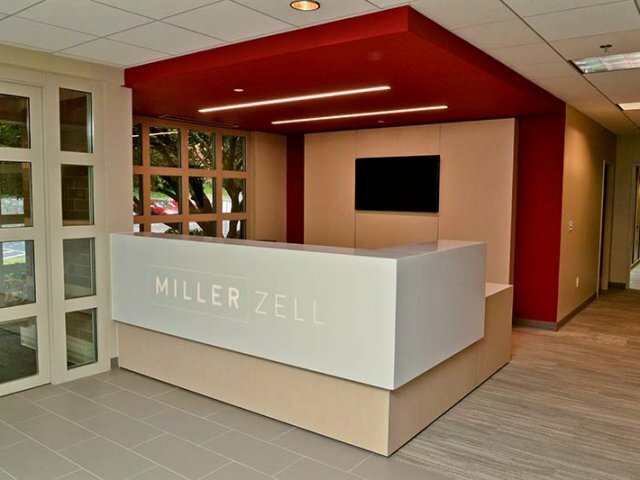 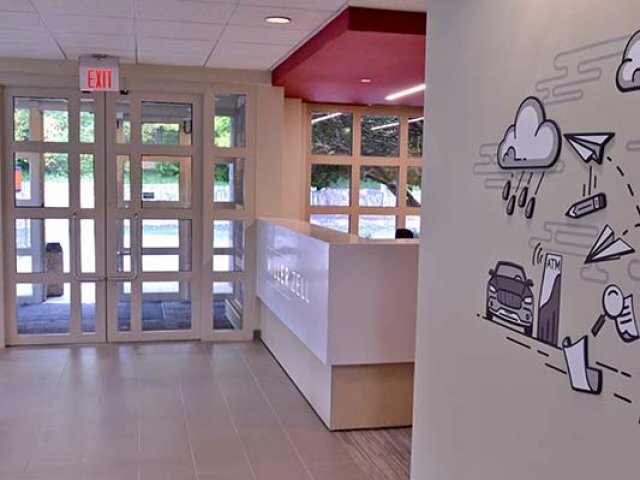 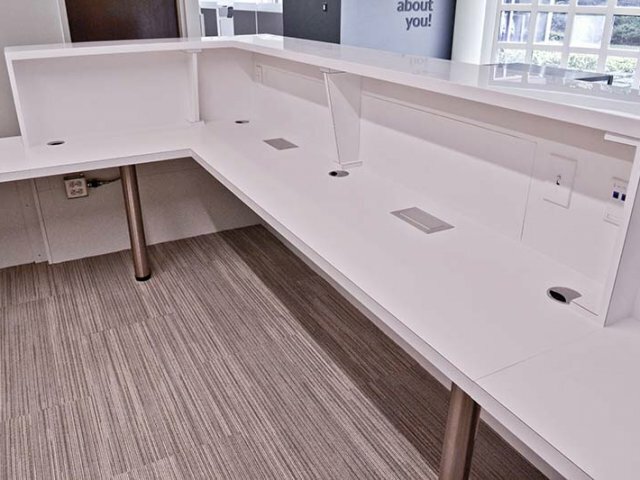 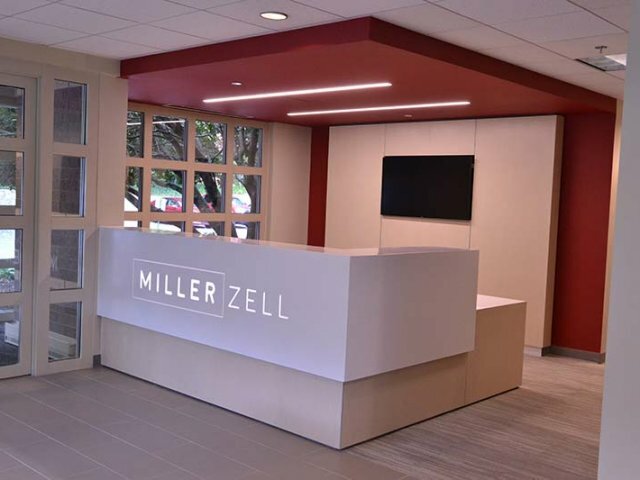 With the Miller Zell custom reception counter our seamless solid surface counter included backlighting through the solid surface material itself. 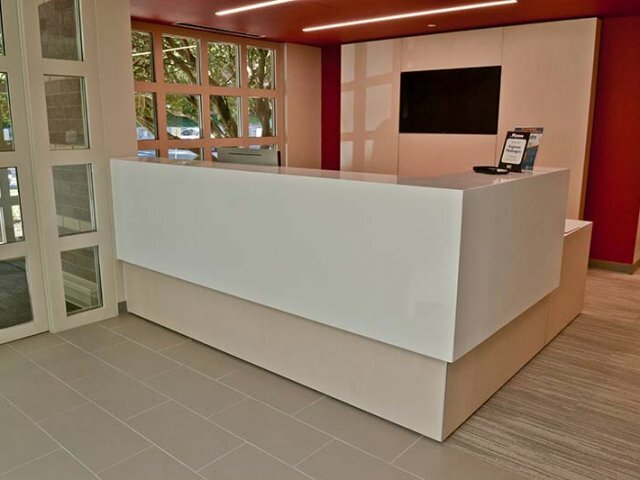 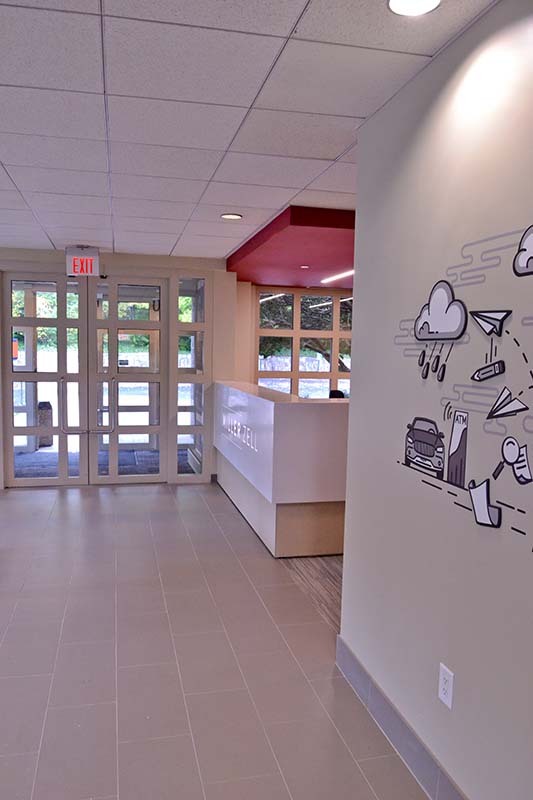 From design through manufacturer to delivery and installation our services provide the fixture and counter system of your choice. 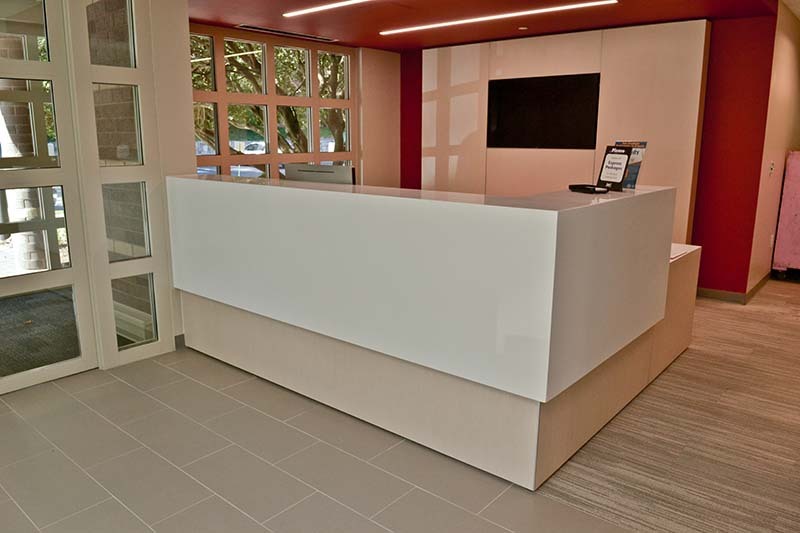 For custom work with the level of quality that you demand remember T&R fixtures. 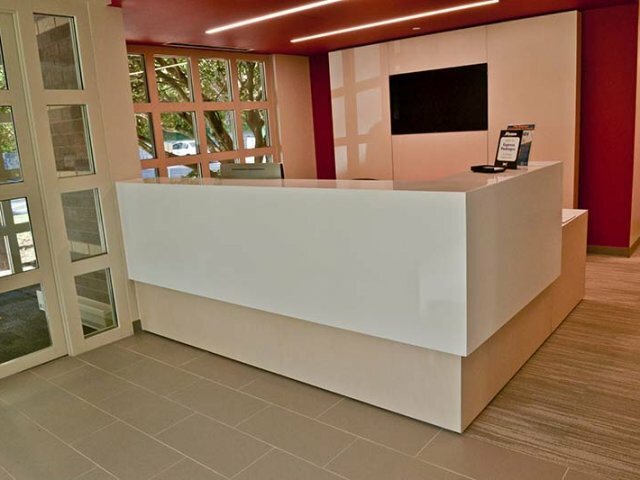 At T&R Fixtures we bring durable, attractive and effective solutions to your Retail, commercial or coorperate environment.